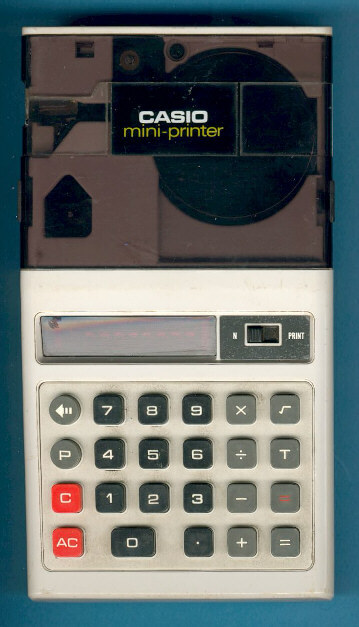 This early printing calculator was heavily influenced by the famous Canon Pocketronic and the later Pocketronic II but added a LED-display to give results without printing on the horizontal feeding paper roll. A very similar calculator was manufactured for Sperry Remington. If you are interested in an inside view, don't miss the Compact Printer.